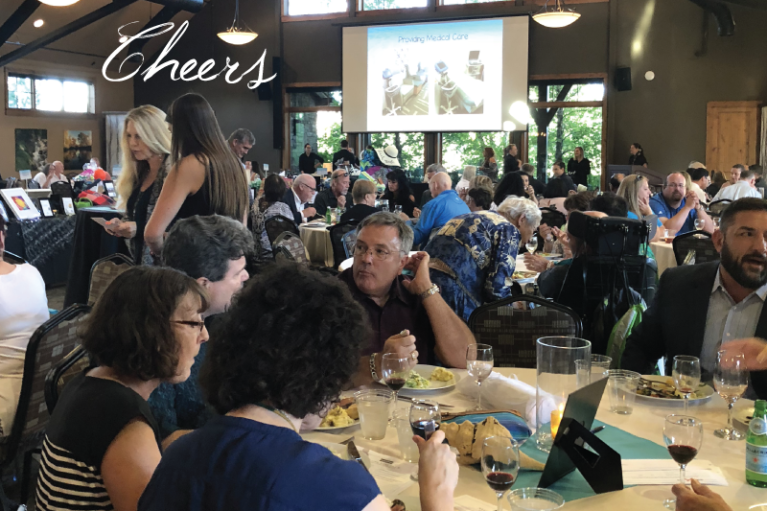 During the month of August, NVCBR held its annual community fundraiser, Cheers! We hosted approximately 150 guests at The Grove at South Creek. We are deeply grateful for the generosity of our many community members who made cash donations and/or provided us with amazing auction items and for the help of Jon Klacking of Double Bond Wines and Tony King of Southern Glazers who donated most of the tasty wines. A delicious dinner was prepared by the expert chefs at The Grove as guests learned more about the work of the institute. Several reporters at Reno’s local news stations interviewed Annette Whittemore about the institute and the important role that medical research plays in uncovering the causes of ME/CFS. Kristin Remington of KRNV News 4 created a short but very insightful story that aired on the evening news and again at the Cheers event. Click here for the story.